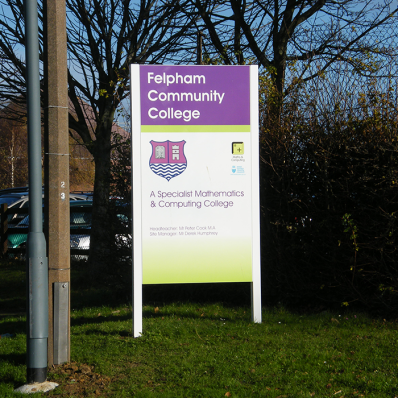 Post mounted sign trays give a refined and modern look to all visitor and student access areas. 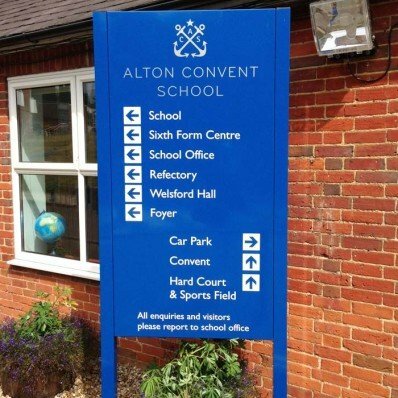 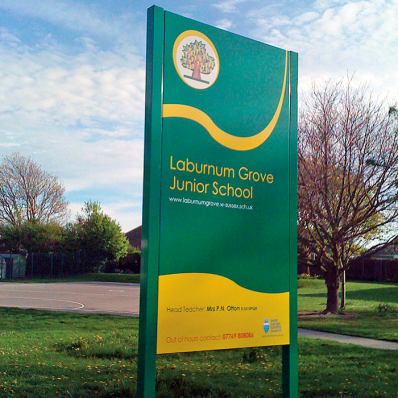 Cut vinyl, full colour printed graphics or raised letters can be added to incorporate your educational information requirements. 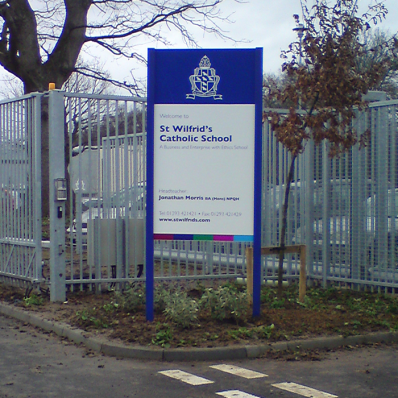 Tray panels can also be created to look like a small monolith.